Around the Corner Productions, is a video production company based in Iowa that specializes in storytelling. Around the Corner have 3 aspects. First, they are among the best producers in the state of Iowa of TV commercials, industrial videos, online/social media videos, and the like. Secondly, they create content for TV stations. They have worked on projects for CBS, NFL Network, and Comcast Sports Chicago, and also have their own TV shows, which air regionally across the Midwest. Thirdly, ATCP produces live events, handling content for large video boards at events, and also producing live sporting events for ESPN3. As Around the Corner grew, so did its technology and its volume of data - we're talking lots and lots of data. To handle this growth they realized they needed some serious storage, and that storage had to be big and it had to be fast. During Around the Corner's first year of business, employees worked on individual computers. Data was stored on these personal workstations and transferred back and forth when required. But they quickly outgrew this and realized that they needed a better solution. Michael Rueber, Creative Director at Around the Corner, built their first video storage server himself. It had four 1TB drives in a Raid 10 configuration, which was a major leap forward at the time. How could they ever need anything more? But their organization continued to grow and become more sophisticated, and technology evolved, thereby increasing demands on their own technology. Their setup quickly turned into two servers. Around the Corner then tried a number of NAS systems; by the end of it, they were working with multiple servers on a 1GbE network. The system had become complicated. Technological changes and larger projects caused their file sizes to grow, and with the addition of more employees, they became aware their system had grown slower relative to their needs. To remove this bottleneck, they needed a 10GbE network, and they needed a new server that could keep ahead of it. A friend of Michael's worked for one of the largest networking companies in the world and recommended the Storinator. 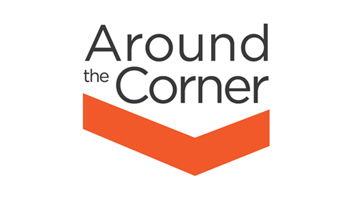 Around the Corner purchased their first Q30 Storinator server fully populated with 30 4TB drives, in 2015. This gave them enterprise grade storage with speeds fast enough to saturate multiple 10gBe connections. They chose FreeNAS, a NAS storage software platform based on FreeBSD and the sophisticated ZFS file system, which allowed them to configure and manage the system through a web GUI interface. They really loved the size of the Storinator Q30, now they are averaging 2-3 TB of new data per month and their Storinator is easily handling the high-speed 10GBE network. "Our Storinator is three times larger than our old solution and six times faster." 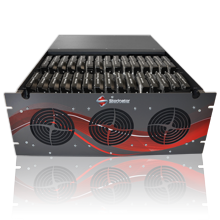 They love the fact that the Storinator lets them handle multi-temperature data. When a team works on a project, the data associated with that project is hot and gets used a lot. At any given week, about 4-5TB of data is hot. The speed of the Storinator allows them to work effectively with this data. Once a project is complete, the data sits there in a cool state, where it can easily be accessed if needed. The large size of the server lets them keep a massive amount of data in this state. The Storinator's speed has impacted the way they work. Before they would have four or five people working on the same server and productivity would slow to a crawl. Managers would often have to ask employees to stop working so that more important projects could get done first. With their Storinator Q30, they have no interruptions, and everyone stays working. For Michael, learning FreeNAS was a challenge that he was able to master. He played around with configurations and settings for about a month in order to learn and optimize before fully deploying the Storinator. Although there were great resources online, Michael says the best information came straight from 45 Drives. "I reached out to my sales representative, and he connected me with one of their techs. The exchange process was very easy - I felt like I was working with people, instead of working against a system of rules." The team at Around the Corner couldn't be happier with their Storinator. "My clients trust me to keep their data safe. I have spent many of sleepless nights worrying about my data," explains Michael. "I sleep a lot better since buying my Storinator."